There has been a casino in Zandvoort for well over 100 years. In the past, holidaymakers from all over Europe would come to the beautiful buildings which used to be known as the Kurhaus. In our history section you can read more about the beautiful old Belle Epoque buildings that once graced the seafront. 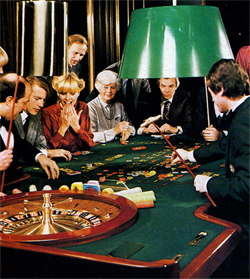 The Hotel Bouwes had acquired a casino for its guests in 1976, but this disappeared when the hotel was demolished in 1987. A new, modern building – a veritable glass palace replaced it in the same year following a design of the architect A. Bonnema. It is situated at the rear of a large forecourt on the Badhuisplein and consists of a more or less V-shape plan. Its glass facades give the building a futuristic look which is not at all out of place in the hub of Zandvoort. If you’re looking for a very special evening out then the Holland Casino in Zandvoort will certainly be pleased to welcome you. 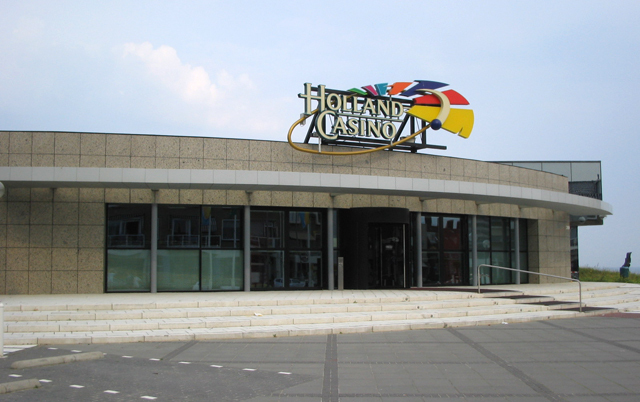 The Holland Casino is one of the eight casinos grouped together under this name. These casinos offer a wide variety of games which you can play in a very comfortable environment assisted by well-trained staff. You don’t need to have a lot of money to enjoy an evening in the casino. For just a few euros you will be able to choose from Blackjack and Roulette. In fact there are some 20 gaming tables offering a variety of games including Blackjack, American Roulette, Punto Banco and Caribbean Stud. Slot machines are also in abundance numbering approx 300. You can even play Bingo if that is your game of choice. Holland Casino is an exciting place to be with regular live entertainment and special theme nights and prizes are sometimes spectacular. The combination of games, food and drink and entertainment provides great atmosphere which experience with your friends or business partners. There are frequently performances by famous artists and other surprises in store for the visitor. There are also cosy lounges and bars. Found in the centre of the casino is the stylish Circles Restaurant which is great place for you to enjoy a delicious dinner alone while you experience the friendly ambience in the gaming hall. Our team of chefs provide a variety of different brasserie meals and delicious, exclusive meals that can be ordered both from the à la carte and regular menu. There is another smaller casino based at the Circus Zandvoort entertainment complex with adjoining facilities for childrens amusement if that is a more practical solution for you.